You can click on the Member's Name, District, Party, Room, and LA Name column heading titles to sort by that column (There may be a short delay when you change the sort order). Click on the Member's Name to view their page of information. Click on their "Send E-Mail" button to send the Member email. Our Capitol Address is 2300 N. Lincoln Blvd, Room # (from grid below), Oklahoma City, Ok 73105. You can view the House District Maps by clicking here. If you need to find who your Member is then you can try "Find My Legislator" search by clicking here. Click here for information on exporting the list below or scroll to the bottom of this page. You can also highlight the list in the grid and copy (CTRL C), then paste (CTRL V) them into your document. Mobile Devices: If you are on a mobile device then the export buttons do not display. You will need to click on the icon in the left side of the grid's header. You can also hide/show columns and reorder columns by clicking on the icon in the right side of the grid's header. * = Legislative Assistants providing interim coverage. Notice: To export this list to Microsoft Excel, Adobe Acrobat, or Microsoft Word click on one of the push buttons on the right side of the grid header above. You will need to have Microsoft Excel/Word 2003 or higher and/or Adobe Acrobat Reader installed! 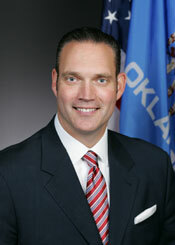 You may have to allow pop-ups or add www.okhouse.gov as a trusted site before the export will work.